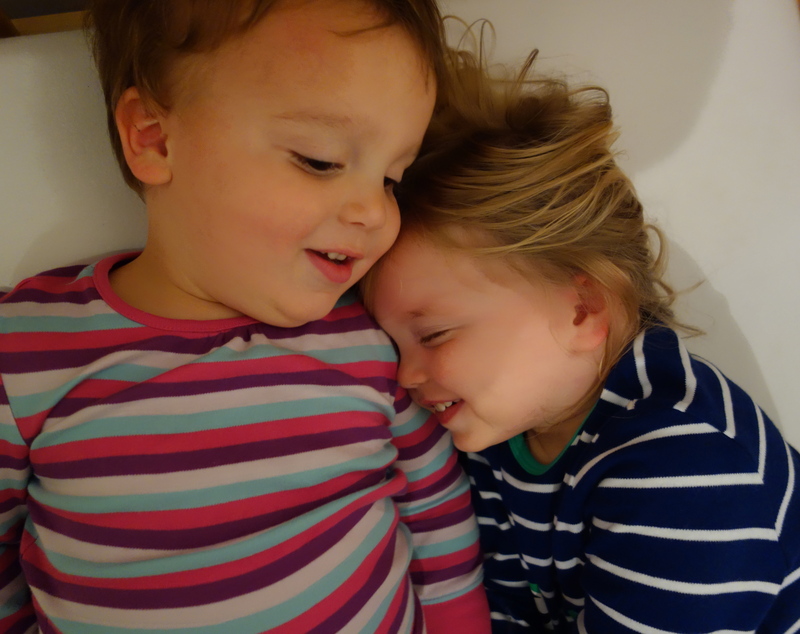 This week at Brain, Child I am discussing early gender identity and why I let my twins cross-dress. It is a fascinating topic for me. According to Lise Eliot, the author of Pink Brain, Blue Brain, the inherent differences at birth between males and females are smaller than we think. And yet, societal influence can cause these marginal variations to grow into potentially troublesome gaps in behavior, which raises important questions for parents about the role we play. I want my kids to feel comfortable in their skin as boys and as a girl, but I don’t want them to feel restricted by what those labels often imply. It is not an easy balance to strike. You can read the essay here. I would love to hear your thoughts! What would you if Jasper wanted to wear a dress to school? I hope that I would let him! But I also assume I would take into consideration any other relevant factors. Thank you for this! I found it on Brain, Child, and really enjoyed this post. I have a 4.5 year old son whose favorite color is pink so I think about gender stereotypes a lot! I feel like I have to treat this issue differently now than a even a year ago. At 3, he was completely unaware of stereotypes (here is a story I wrote about him almost dressing up as Minnie Mouse for Halloween: http://www.invisibletotheeye.com/2012/10/on-halloween-and-gender-stereotypes.html), but now he is clearly aware of them. He is also a type that is very sensitive to criticism and wants to make sure he follows the “rules”, so now he clearly struggles with how to balance his own preferences with societal expectations, and I try my best to find a way to support him wherever he is, but also let him know that societal expectations are often random and he is allowed to express himself. But a year ago I wouldn’t even mention the stereotypes to him, like you probably don’t, since he was clearly unaware of them. Thank you so much for writing in, Tanya! I think you are exactly right that there is a huge emotional difference for the parent in terms of what age the kid is when they make these gender non-conforming choices. 2.5 and 4.5 are worlds away in this respect, because of potential peer reaction but also because of their own awareness of how the world works. I really loved your piece, it was so heartfelt. And I have no definitive answers to the questions we both seem to be posing on this topic. My dad has just asked in the comments here what I would do if my son wanted to wear a dress to school. All I can say is that I hope I would let him!